After the success of the initial release, Sonic Mania is receiving some new life with the Plus DLC, as well as a physical release, today. In the newest developer diary, the team talks about giving the Encore mode new life using existing assets, and designing characters that fit into the game world both with their aesthetic and their movements. While details on the characters that Plus is including are exciting, the physical edition keeps a few tricks up its sleeve, literally. A SEGA Genesis reversible cover comes with the physical edition as well as the 32-page art book, which can be seen in the video below at 4:27. If you are a long-time Sonic fan the physical edition is probably just what you need. 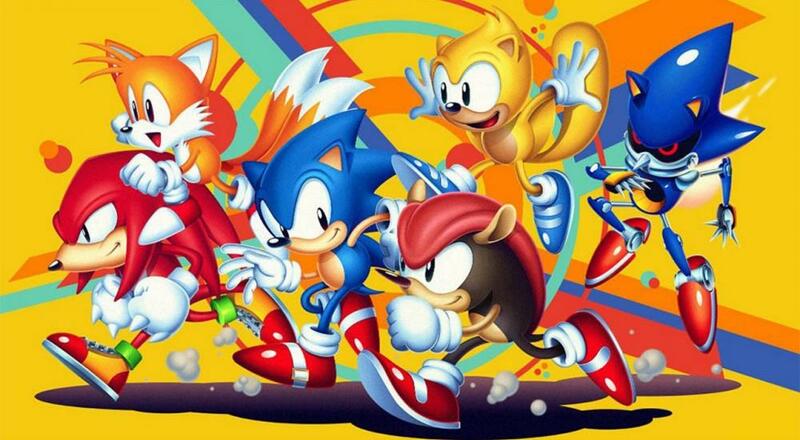 Sonic Mania was originally released digitally in August 2017 to near universal acclaim. It features the co-op that made the Sonic games of generations past such a blast while changing it up with new environments and, now, new characters. The Plus mode releases on July 17th as a $5 add-on DLC to the original game, or you can pick up Sonic Mania Plus as an “all-in-one” physical copy that also includes the goodies detailed above for $29.99 on Xbox One, PS4 and Nintendo Switch. Will the game’s new Plus mode bring you running back into the world of Sonic and friends, or have you quenched your hedgehog needs with the standard version? Let us know in the comments below! Page created in 0.4295 seconds.